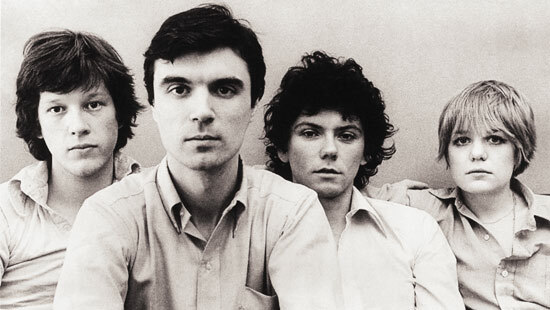 In the first of a new series of columns on music, 'Deserter's Songs', Dave Bell discusses his fascination with what, he admits, is a "very boring" piece of music: Talking Heads' 'Heaven'. This is a song, Bell argues, that epitomises "pop as Samuel Beckett might write it: tedious, beautiful and desperate". A friend who shares my enthusiasm for Talking Heads recently expressed surprise that Heaven is my favourite of their songs. “I always skip it”, she said, “I find it really boring”. And in a way she’s right: it is boring. There’s no funky polyrhythms; no dada jabberings; no non-sequitirs in the lyrics and certainly no MTV friendly video in which David Byrne repeatedly hits himself in the head. It’s just a simple, mid-tempo piano song which comes and goes in four minutes and one second. Yet I believe it’s one of the most vital songs of all time- pop as Samuel Beckett might write it: tedious, beautiful and desperate. In its opening lines, Byrne sings in a tone that seems either disinterested or desperate (somehow the middle ground between those two extremes isn’t a possibility), telling us over a chord change we’ve heard a thousand times before that “Everyone is trying to get to the bar/The name of the bar the bar is called Heaven”. What could be so good about this bar, we wonder? We soon learn that “the band in heaven plays my favourite song”. Sounds good, eh? But then Byrne tells us that “They play it once again, they play it all night long”. Hmm, a bit tedious, perhaps. And then the chorus comes in, with a multi-tracked multiplicity of Byrnes informing the listener that “Heaven is a place where nothing ever happens”. In the second verse Byrne tells us that “it’s hard to imagine that nothing at all/could be so exciting/could be this much fun”.His delivery is mostly deadpan, disinterested; sarcastic, perhaps. Close listening draws out occasional waverings, as if he’s just beginning to emotionally break. But is this through ecstacy at the excitement of the repeated parties the song speaks of? Or is the terrifying mundanity of Heaven’s reality dawning all too large upon him? In the chorus that follows the multi-tracking is less significant- Byrne’s main vocal line pushed up front to face the reality alone. The third verse repeats the second verse’s claims of fun; this time about a kiss that begins again as soon as it ends, and here Byrne is noticably more agitated; his voice almost breaking on ‘this much fun’. The chorus is augmented by wordless jabberings which speak of a man desperate to break free from the confines in which he’s trapped. An individual experiencing this disquieting, slightly schizophrenic response to something so perfect it’s mind-numbingly boring will be familiar to readers of dystopian fiction. Whilst dystopias generally employ totalitarian methods to maintain the status quo, there is an existential element to them which makes them undesirable places to live. Put simply, they’re bloody boring. If – as many claim- they are secularised heavens, then Nietzsche’s claim that ‘in heaven, all the interesting people are missing’ would seem to ring true (similar sentiments can be found in Spaceman 3’s Walking With Jesus and Hot Chip’s Hold On). Like Byrne in Heaven, the reader doesn’t know whether to be awed at this unity or terrified at the prospect of such never ending drudgery. Indeed, such is the level of perfection that OneState has achieved that D-503- an enthusiastic inhabitant- writes that it constitues ‘an ideal state of affairs where nothing ever happens anymore’. How horribly, wonderfully boring that would be. I think I’d like to skip it, though. Interestingly, the version above (from Stop Making Sense, which is THE best concert film of all time) is far more yearning: as if Byrne desperately *wants* to get to this heaven, or is remembering his time there. It’s the first version I heard, and I was slightly disappointed when I first heard the ‘Fear of Music’ studio version (about which I write above), though I now love ’em both. It’s the epigraph to my PhD, so it’s quite shameful I didn’t include it really. this is the sped-up version again… it doesn’t sound right, or half any of the feeling of the normal one.